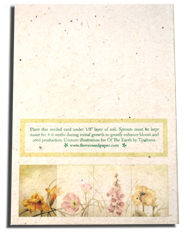 We are proud to present our new line of seeded cards. 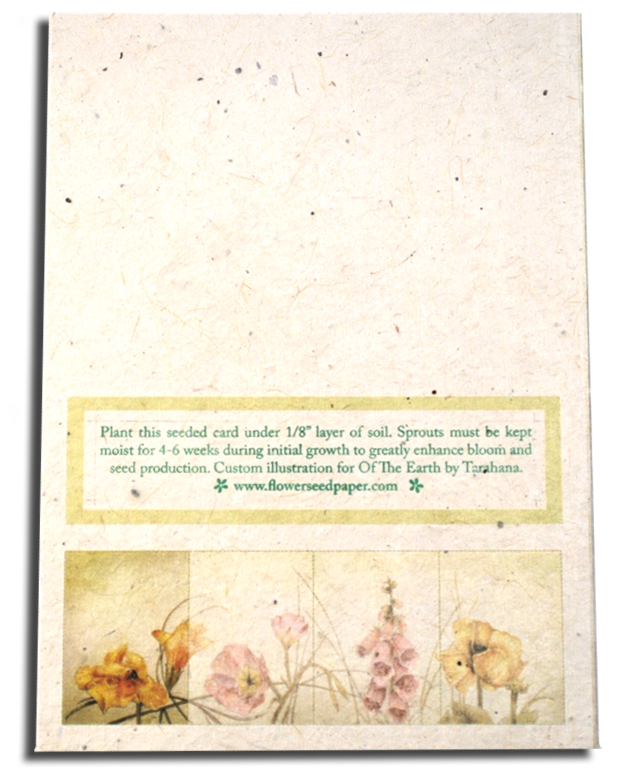 They are made from our seeded lotka paper, which is 100% tree free. This is a set of four seeded cards and four seeded envelopes. 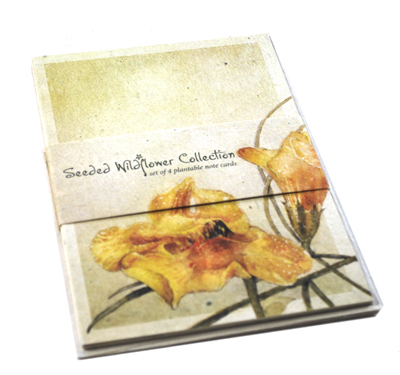 Printed on these unique cards is a gorgeous presentation of some of the flowers that will sprout from this paper. The design was done by one of our talented employees. The design is printed on each card on the outside and continues also onto the band, which holds them all together. The design of each card creates a panoramic print of the flowers.